I am moving my posts to Medium. Here is my first one. If you want your map to be successful in portraying it’s story or message then it’s important to start with user requirements. It’s important to fully understand the users requirements in terms of information hierarchy and match the visual hierarchy accordingly – that is to say that they will notice the MOST important information first and the LEAST, last. In cartography this is often referred to as figure/ground. At work recently I was involved in the cartographic design of one of our latest apps – here is a blog post explaining our pie chart clustering solution that forms part of it. The app displays point features on a map and groups them into four discrete categories. In this post I will explain my thought-processes and reasoning for choosing the colours that I did; matching the visual hierarchy to the information hierarchy. Although A1 and B1 have equal importance they need to be distinguishable from each other and have more visual importance than A2 and B2. My first consideration was choosing two colours that are easily distinguishable and for this purpose also accessible – meaning they are discernible to those with colour vision deficiencies (CVD). For this I used the preview modes in Adobe Illustrator which simulate different CVD but there are many tools available (QGIS has this function which is cool for map-makers). So, this gave me the colours for A and B.
I then used the saturation and brightness levels to separate the 1’s from the 2’s. This gave me the corresponding colours I required whilst making them appear LESS visually important. In the app we then applied these colours to simple circle symbols and use an 15% transparency. We have also applied a thin outline to the circle symbols to subtly lift them from the basemap. I would highly recommend Colorbrewer for grabbing colour palettes and I have personally found this resource very useful recently. The colours I have used above are from the Material palette. This is just one example of the MANY thought processes that cartographic designers go through to ensure that our maps are successful in meeting their user requirements. I’m very late in sharing the results of my short carto survey but hey, better late than never. I was really pleased to get 100 responses in just over 2 weeks. A huge thanks to all those who filled it in and equally those who shared it! Twitter is an awesome tool for spreading the word. These results are going to be extremely useful to me in the next month as I prepare to present a webinar, a workshop and a presentation. I am putting together some learning material for those wanting to know more about Cartography and Cartographic Design. The content will be used for various things from Maptime, Ordnance Survey workshops and other training events. There are SO MANY elements to map-making so I would be extremely grateful if you could help me define the topics of most interest. I will end the survey on Friday 27th Nov 2015 and I will blog about the results which I think will be very interesting, as well as super useful! If you require some map styling help or advice then please get in touch and I will be happy to help where I can. No job (or even question) too small. I have been organising #Maptime Southampton (@MaptimeSOTON) since November 2014. It is the first in the UK and I am extremely proud of our group and the 5 excellent meetups that we’ve had so far. We have learned about OpenStreetMap, Mapbox Studio, Leaflet, QGIS Plugins and recently had our first Show & Tell where 10 peeps presented on a really diverse range of topics from Fledermaus to zombies! I initially discovered Maptime through Twitter and was directed to Maptime.io. I knew that it started in the US but after looking at the Chapters map and panning across The Atlantic I was very surprised to discover that there were no chapters in the UK. I work for Ordnance Survey, the Great British National Mapping Agency so I’m very fortunate to be closely connected to the industry and know that there is a fantastic, innovative group of map-makers here on our shores. Where better to start a chapter than Southampton – a city with a rich history (Titanic, Spitfire) and home to the Ordnance Survey and a University with a fantastic Geography department. I reached out to Maptime HQ and they were super supportive in helping me get my chapter off the ground – they supplied useful documentation and pointed me in the direction of all the available resources. I set about looking for a venue and a sponsor (just to cover the venue cost) as I was very keen to keep the meetups free to attend. It didn’t take me long to find a fantastic venue that fits the bill perfectly – The Art House is in the city centre and it’s ethos aligns with that of Maptime really well. It is fabulously informal, run by volunteers and harnesses and supports local communities. After reaching out to the guys at the Open Source Geospatial Laboratory they very kindly agreed to sponsor the inaugural meetup in November 2014 and so Maptime Southampton was born! I must admit that I was heading into the unknown and quite nervous – not knowing if anyone would show up at all. Thankfully 14 excellently-enthusiastic people turned up for our inaugural meetup we had a really good brainstorm session. As a group we discussed all the aspects of what we wanted this new community to become and the many things that we wanted to learn together. I was so pleased to come away from that first evening with a really long list of ideas and subjects to cover in future events, and I was really excited for the future of Maptime Southampton. Since that initial meetup we have had two more and they have been great successes with 20 people at each. We have covered OpenStreetMap, Mapbox Studio and Leaflet and have already started planning a QGIS workshop for our next monthly meetup. I am also lucky enough to now have four offers of sponsor – a great sign that there is real interest in what we’re doing. Other chapters have been springing up around Europe and there is now another UK chapter, Maptime West London (@MaptimeWLON). There will be a regional Maptime meetup at the forthcoming FOSS4G-Europe in Como, Italy and it would be great to see more activities like this at other events and conferences. Maptime is a very effective way to learn new skills, brush up on others and also teach other people. Teaching can be really rewarding and there is a great sense of pride in passing on knowledge to others. There is a growing range of lessons and resources and Maptime HQ have some really exciting ideas for the future. I would encourage anyone in the mapping/geo industries to start a local chapter – it’s a great place to learn a tonne of new stuff, share knowledge and socialise with like-minded people. Organising a Maptime chapter has been fun and rewarding and I am so excited to learn more at our future events alongside a really great group of people. I have got loads of ideas about different formats for our meetups and also plan to have social outings. You can read the article on xyHT here and read about regular Maptimer Nicholas Duggan’s experiences here. 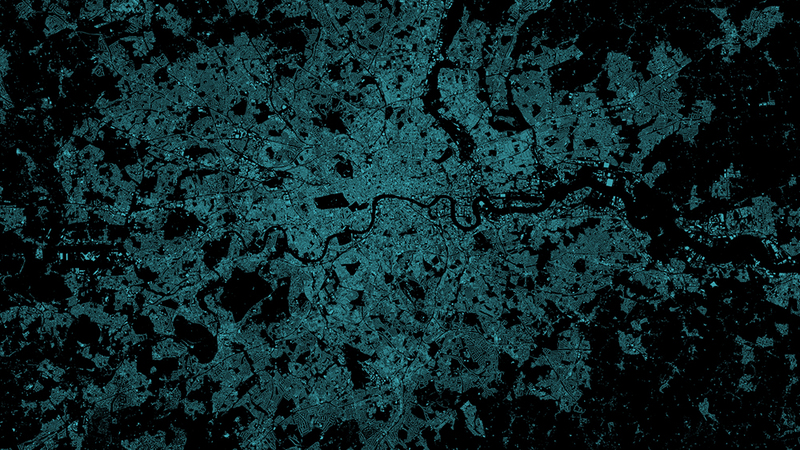 So, I’ve only recently discovered the potential for cartographers to use GitHub. On the face of it, GitHub is a platform for sharing source code and collaborating with others on projects – seemingly an exclusive club for coders – but I have discovered that this is simply not the case – there is much more to it and anyone can use it to share almost anything online. Some cartographers have been using it for years now to share map-making resources; from symbols to software source code. As examples, the OpenStreetMap community are very active on GitHub and the UK QGIS User Group use it to share and collaborate. When I first started looking into using GitHub myself, I came across this great article by Lauren Orsini on readwrite. The title ‘Don’t get scared, get started’ appealed to me as it summed up my sentiments at the time, and a line in the opening paragraph really jumped out to me; “Because it’s a social network that has completely changed the way we work.” Now social networks are something I’m familiar with – like most people nowadays, I use them regularly. This made GitHub seem immediately more approachable to me and I began thinking about it in a new light. Once you start using it, you can see how the concept is similar to Facebook – if you just replace ‘posts/photos’ with ‘files’ and ‘friends’ with ‘fellow geeks’. You can follow others and even star (Like) other peoples ‘files’. GitHub can be used to share all types of files, from PNG icons to geoJSON and CSV. It will store binary files (not text) happily alongside any code so you can share things like ESRI Shapefiles (.shp), True Type Fonts (.ttf), Bitmaps (.bmp) etc. So, I have recently used it to share cartographic stylesheets, both at work (lots more to come) and personally. I am also currently working on some QGIS stylesheets (QML) for use with OSM Shapefiles from Geofabrik. I use GitHub for Windows which makes it really easy to get files online straight from your desktop. The version control is really good and fully automatic. It maintains a snapshot of all your commits so you can always access previous versions of your work. Another awesome feature of GitHub is that it renders GeoJSON automatically on to a nice, interactive MapBox map and these are now diffable and customisable. This is really powerful for open geodata. Ordnance Survey are running a hack day event for cartography!! This unique event is on the 20th February 2014 and the winner will be offered a 6 to 9 week paid internship – a chance to work in the OS CartoDesign team! Many definitions of cartography refer to it as a mix of science and art. This post will focus on the art element. The artistic side of cartography is what attracted me to it as a career path – it is a method of visual communication through which you can exercise your creativity. It is the creative process that I really enjoy – taking something from an idea right through to completion. There is no such thing as right or wrong with regard to maps – they are an interpretation of geographic phenomena which can be either accurate or pure fantasy. There are strong links between the worlds of art and cartography and some of my favourite map designs sit in this space.